Rachel Dolezal. Photo courtesy of wnd.com. 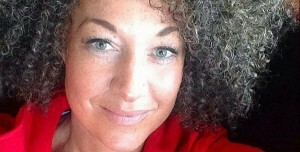 Former Spokane, Wash. NAACP President Rachel Dolezal, a white woman who passed as black, has damaged the African American community she pledged to serve, former NASW President Gary Bailey said in a recent Huffington Post column. And although Dolezal had sympathy and compassion for the black community, Bailey said she would never have suffered the indignity experienced by black teenager Dajerria Becton, who was violently arrested by a white police officer at at McKinney, Texas pool party. “No way, no how. And that is the major difference between a truly lived experience and the co-option of a people’s experience,” Bailey, MSW, ACSW, said. The National Association of Social Workers (NASW) is committed to equal treatment for all, including people of color. To learn more visit NASW’s Diversity and Equity website. I see it as self-identification. Nothing more and I feel it is her right to self-identify. Yes, she has provoked scorn and discomfort. But damage? Look, Ms. Dolezal would fit just about everyone’s (and particularly the FOX news) definition of “A LIBERAL.” (!!!!!!!) And even better, a white female liberal who associates with black people and apparently lies about EVERYTHING. Oh Ouch. But let’s not conflate our disappointment and discomfort into real pain and suffering. The attacks and threats have long been out there: and this situation hasn’t really provoked anything new. Just, uncomfortable attention. People that want to hate, will find what they need to feed that hate. This is the latest frenzy. If we want to focus on lies, let’s also consider the 40 something white guy with no military background beyond what he’s seen on the big screen or played on the computer, who dons the spit shined shoes and flawlessly pressed Marine blues he purchased on-line, with ribbons for the Purple Heart (with 3 clusters), the Silver Star ( with V device) the Navy Cross, and ribbons for service in Iraq, Afghanistan, Kosovo, and Vietnam. Yes this is against the federal (Stolen Valor) law, but it hardly makes the local evening news when he is outed by the local VFW. See, this is no longer an attack on one woman. It has become an attack on everything she may possibly represent. So, look around. And let’s just put down the stones, OK? As a current student in social welfare at the University of Kansas it saddens me that a former president of such a prestigious organization could rush to judgement and be so insensitive toward another human being. First of all it is not so much what we “don’t” know about Rachel Dolezal’s motivation for her presentation as an African-American as much as it is what we “do” know about the character of this great woman and the extent of her service and sacrifice for African-Americans. I am also taking minors in Psychology as well as African and African-American Studies, what my education prompts me to consider is where she has gone right as opposed to where “I think” she may have gone wrong; this concept is foundation of Strengths Base Social Work. We know, for instance, that she has committed a very substantial portion of her life to educate and advocate for African-Americans. We know that her children are multi-racial and, if we stop to consider, we also know that the racial group that she doesn’t want to be identified with maintains a history of oppressive and even murderous acts against African-Americans and other minority groups. One could conclude that it is a no-brainer that she would shun such a group but the truth of the matter is that we DO NOT know her particular reasons for the course that she choose. For example, what if she has some mental health challenges that she either needs to address or is currently in the process of addressing with another caring professional? If Ms. Dolezal does have the above mentioned challenges, how insensitive and damaging might the remarks of such a prominent figure against her increase her burden? And how Ridiculous and unprofessional is it for a Social Worker to do such a thing? Myself, I am a black man and, even if her action were not motivated from what “I” perceive to be a right course, the fact is that is issue is not about me anyway it is about a human being called Rachel. Further I can’t help but think that Mr. Bailey’s comment suggest some racist or at least prejudice sentiment toward another human; I’m just not understanding how a Social Worker could be so callous and unthoughtful. As for me, I admire Ms. Dolezal’s work, her commitment to serve, and the quality of the character that she has shown to us all over her life-time. Thank you Ms. Dolezal for a fine and positive example of a human heart. Bruce/Kaitlyn should not have come out, but for what I have read about Rachel and Bruce/Kaitlyn, I think Rachel has served society more then Bruce/Kaitlyn.I understand that Bruce/Kaitlyn has become a role model, but I think what Rachel has done I see her as a role model. Bruce/Kaitlyn received accolades,while Rachel is now limited in pursuing her work. Do men have it easier?